More than two years ago, the technology industry achieved a significant benchmark – cloud usage surpassed 50 percent of the enterprise community, making it officially “mainstream,” according to Forbes. Now, cloud is considered a staple of corporate infrastructure. According to the 2015 State of the Cloud Survey from RightScale, the vast majority of businesses have cloud environments in place. In fact, 82 percent of the more than 900 IT professionals interviewed confirmed that their company had a hybrid cloud strategy. In addition, 88 percent of enterprises are using public cloud environments. This doesn’t mean there isn’t room for expansion. RightScale found that more than half of businesses still had significant portions of their application portfolios in on-premises environments. 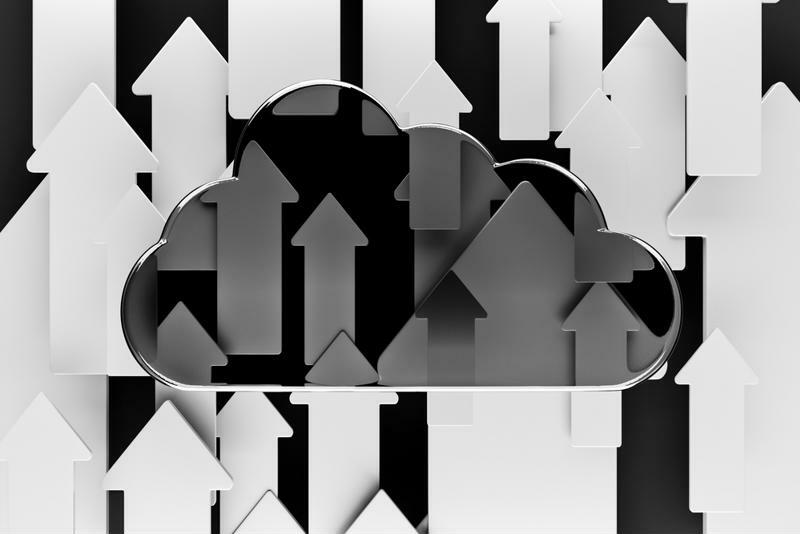 Overall, 68 percent of survey respondents stated that less than one-fifth of their critical applications were housed and accessed via the cloud. For many organizations, the time for cloud expansion is now. These businesses have at least a few months, if not years, of cloud usage under their belts, and they’re looking to further improve resource utilization and their ability to adapt to rapidly changing business goals. If your company falls into this category, what should you know when expanding your cloud? It’s important to understand that many businesses are looking to expand their cloud usage, and your company isn’t alone in its pursuits. In fact, while research shows that most enterprises have already completed an initial cloud deployment, much of projected spending will come due to expansion. We’ve covered elsewhere how cloud usage can greatly help your internal IT department, as well as the variety of use cases that propel businesses to the cloud. According to the IDC, spending on cloud IT infrastructure, including cloud-related servers, storage and Ethernet, will likely expand by over 24 percent, reaching $32.6 billion by the end of 2015. At the same time, spending on non-cloud environments will decrease by 1.6 percent. “Numerous IDC surveys indicate growing interest among enterprise customers in cloud deployments across multiple IT domains,” said IDC Storage Systems Research Director Natalya Yezhkova. Cloud expansion can take many forms, including accommodating a larger workforce, additional applications, or new clients. Expansion can also take place during seasonal usage spikes. Whatever the case, the business should be able to work with their service provider to design the right solutions that help them scale to meet their unique needs. What kind of workload/app will be run in the cloud? SaaS, EComm, Test/Dev, Website, etc? Is traffic/load expected to be relatively constant or spikey in nature? How much traffic/load must be supported? Is this expected to change in the future? How quickly do cloud resources need to be provisioned (or decommissioned)? Is the app considered to be mission critical where high availability is important? Will the application require a highly transactional database? How much storage is required? What kind of storage is required (block, file, etc.)? Does your storage have specific performance requirements? If running an e-commerce site, how will credit cards be processed? How will user data be handled and protected? Will users of the app be geographically dispersed? Are there any compliance or security considerations? Will the cloud provider be required to provide managed services? Do you have the right skill sets internally to manage the entire cloud platform? How will you get your applications to the cloud? Whether the right solution for your business is a Public Cloud, Private Cloud, or Hybrid Cloud (combination of Public, Private and on-premise) depends entirely on how you answer questions such as these. Going through this exercise will help ensure you deploy a solution that can support your immediate needs as well as easily grow with you as your needs change. When it comes time to expand a cloud environment, decision-makers should keep their current SLA in mind and examine all of their available options. 3) Is it time to make a switch? One of the most difficult decisions to make with cloud expansion is whether or not it’s time to make the switch to a different provider. As Computerworld contributor Sandra Gittlen discovered, several businesses found compelling reasons to deal with the complexities and challenges involved in changing cloud vendors. Whether these needs stemmed from signing up too quickly, not having the necessary customer service, or not being able to support growing user needs, there comes a point when it could be best to consider a switch. “We want to be able to control our own destiny,” Shawn Wiora, Creative Solutions in Healthcare CIO and CSO, told Gittlen. It should be understood that this is not a decision that should be taken lightly. Changing cloud providers can be difficult, but could benefit the company in the long run. It’s important to examine current and projected needs first, as well as the capabilities of the existing cloud provider and other potential vendor options. Concerned about choosing the right cloud service? Review the various types of cloud service, and how to find the right provider. To find out more about expanding an existing cloud environment, contact Hostway today.